1. These terms and conditions set out the general terms under which we undertake our business. The specific conditions relating to particular assignments will be covered in a separate Engagement Letter and accompanying Schedule of Services. 2. The Engagement letter, Schedule of Services and our Standard Terms of Business are governed by, and should be construed in accordance with UK law. Each party agrees that the courts of UK will have exclusive jurisdiction in relation to any claim, dispute or difference concerning this engagement letter and any matter arising from it. Each party irrevocably waives any right to object to any action being brought in those Courts, to claim that the action has been brought in an inappropriate forum, or to claim that those Courts do not have jurisdiction. 3. Effective Accounting Solutions Limited are registered with the Association of Chartered Certified Accountants as chartered certified accountants and can be found on the register of members at http://members.accaglobal.com/en/find-an-accountant. 4. As with other professional service firms, we are required to identify and verify our clients for the purposes of the UK anti-money laundering legislation. Save in exceptional circumstances we cannot start work until this requirement has been met. We may request from you, and retain, such information and documentation as we require for these purposes and/or make searches of appropriate databased including ID verification software. 5. We may, from time to time, hold money on your behalf. Such money will be held in trust in a client bank account, which is segregated from the firm's funds. The account will be operated, and all funds dealt with, in accordance with the Clients' Monies Rules of the Association of Chartered Certified Accountants. 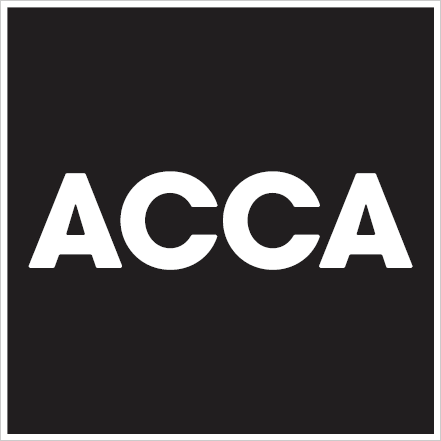 These rules can be found on the ACCA website at http://www.accaglobal.com/en.html. 6. Fees paid by you in advance for professional work to be performed and clearly identifiable as such shall not be regarded as clients' monies. 7. In some circumstances, commissions or other benefits may become payable to us in respect of transactions which we arrange for you. Where this happens we will notify you in writing of the amount and terms of payment. 8. Communication between us is confidential and we shall take all reasonable steps to keep confidential your information except where we are required to disclose it by law, by regulatory bodies, by our insurers or as part of an external peer review. Unless we are authorised by you to disclose information on your behalf this undertaking will apply during and after this engagement. 9. We may, on occasions, subcontract work on your affairs to other tax or accounting professionals. The subcontractors will be bound by our client confidentiality terms. 10. We reserve the right, for the purpose of promotional activity, training or for other business purpose, to mention that you are a client. As stated above we will not disclose any confidential information. 11. We will inform you if we become aware of any conflict of interest in our relationship with you or in our relationship with you and another client. Where conflicts are identified which cannot be managed in a way that protects your interests then we regret that we will be unable to provide further services. 13. The advice and information we provide to you as part of our service is for your sole use and not for any third party to whom you may communicate it unless we have expressly agreed in the Engagement letter that a specified third party may rely on our work. We accept no responsibility to third parties, including any group company to whom the engagement letter is not addressed, for any advice, information or material produced as part of our work for you which you make available to them. A party to this agreement is the only person who has the right under the Contracts (Rights of Third Parties) Act 1999 to enforce any of its terms. 14. We confirm that we will comply with the provisions of the General Data Protection Regulation (GDPR) when processing personal data about you, your directors, staff and shareholders. • carrying out any operation or set of operations on personal data, including collecting and storage, organising, adapting, altering, using, disclosure (by any means) or removing (by any means) from the records manual and digital. • other legitimate interests relating to protection against potential claims and disciplinary action against us. In regards to our professional obligations, we are a member firm of the Association of Chartered Certified Accountants (ACCA). Under the ethical and regulatory rules of ACCA we are required to allow access to client files and records for the purpose of maintaining our membership of this body. 15. Should we resign or be requested to resign a disengagement letter will be issued to ensure that our respective responsibilities are clear. 16. Should we have no contact with you for a period of six months or more we may issue a disengagement letter and hence cease to act. 17. We reserve the right following termination for any reason to destroy any of your documents that we have not been able to return to you after a period of six months unless other laws or regulations require otherwise. 18. Unless you instruct us otherwise we will, where appropriate, communicate with you and with third parties via email or by other electronic means. The recipient is responsible for virus checking emails and any attachments. 19. With electronic communication there is a risk of non-receipt, delayed receipt, inadvertent misdirection or interception by third parties. We use virus-scanning software to reduce the risk of viruses and similar damaging items being transmitted through emails or electronic storage devices. However electronic communication is not totally secure, and we cannot be held responsible for damage or loss caused by viruses nor for communications which are corrupted or altered after despatch. Nor can we accept any liability for problems or accidental errors relating to this means of communication especially in relation to commercially sensitive material. These are risks you must bear in return for greater efficiency and lower costs. If you do not wish to accept these risks please let us know and we will communicate by paper mail, other than where electronic submission is mandatory. 20. Any communication by us with you sent through the post system is deemed to arrive at your postal address two working days after the day that the document was sent. 21. When accessing information held electronically by HMRC, we may have access to more information than we need and will only access records reasonably required to carry out the contract. 22. You are required to keep us up to date with accurate contact details at all times. This is important to ensure that communications and papers are not sent to the incorrect address. 23. We are bound by the ethical guidelines of the Association of Chartered Certified Accountants and accept instructions to act for you on the basis that we will act in accordance with those ethical guidelines. A copy of these guidelines can be viewed at our offices on request or can be seen at www.accaglobal.com. We will not be liable for any loss, damage or cost arising from our compliance with statutory or regulatory obligations. 24. If we become aware of any unethical or unlawful actions on your part, or if continuing to provide services to you would result in our non-compliance with these guidelines, we reserve the right to terminate this agreement immediately, without notice. If such termination is necessary, we will not be liable for any loss, damage or cost arising from our compliance with statutory or regulatory obligations. 25. The fees applicable to this assignment are set out in the Engagement Letter. 26. All fees are exclusive of VAT, which will be added where chargeable. 27. All invoices are due for payment upon presentation. • fees are payable by monthly direct debit as confirmed in the Engagement Letter. • fees are reviewed on an annual basis and any change will be notified to you with one month’s notice. • a minimum of nine month’s fees are to be settled for the preparation of company accounts. • we reserve the right to charge additional fees for services where information is not provided by you within specified timescales. Please refer to the Schedule of Services for more information. • if it becomes apparent to us, due to unforeseen circumstances, that a fee quote is inadequate, we reserve the right to notify you of a revised figure or range and to seek your agreement thereto. • fees are non-refundable and for the avoidance of doubt, if you leave part-way through a financial year, the fees paid remain non-refundable. 29. Where requested we may provide a quote for the provision of additional specific services or an indicative range of fees for a particular assignment. 30. We reserve the right to charge interest on late paid invoices at the rate of 4% above bank base rates under the Late Payment of Commercial Debts (Interest) Act 1998. We also reserve the right to suspend our services or to cease to act for you on giving written notice if payment of any fees is unduly delayed. We intend to exercise these rights only where it is fair and reasonable to do so. 31. If you do not accept that an invoiced fee is fair and reasonable you must notify us within 21 days of receipt, failing which you will be deemed to have accepted that payment is due. 32. In the case of a dispute over the level of fees charged we reserve the right to require that the matter is dealt with through arbitration. 33. On termination of the engagement, you may appoint a new accountant/advisor. We will provide professional clearance and handover information at no extra charge provided that the request is received within 28 days of termination. Should the request be received after this point, we reserve the right to make an extra charge. 36. If any provision of the engagement letter, schedule of services or standard terms of business is held to be void, then that provision will be deemed not to form part of this contract. 37. In the event of any conflict between these terms of business and the engagement letter or appendices, the relevant provision in the engagement letter or schedules will take precedence. 38. If we become aware of a dispute between the parties who own or are in some way involved in the ownership and management of the business, it should be noted that our client is the business and we would not provide information or services to one party without the express knowledge and permission of all parties. Unless otherwise agreed by all parties we will continue to supply information to the normal place of business for the attention of the directors. 39. If conflicting advice, information or instructions are received from you, or if we are unable to determine who we should communicate with due to internal disputes within a client we reserve the right to terminate our services by giving notice. Our maximum liability to you will be £150,000 on any and all matters in relation to the services provided. This sum shall be the maximum aggregate liability of this firm, its directors, agents and employees to all persons to whom the engagement letter is addressed and also any other person that we have agreed with you may rely on our work. 48. By signing the engagement letter you agree that you have given proper consideration to this limit and accept that it is reasonable in all the circumstances. If you do not wish to accept it you should contact us to discuss it before signing the engagement letter. 49. You have agreed that you will not bring any claim of a kind that is included within the subject of the limit against any of our directors or employees on a personal basis. 50. The advice and information we provide to you as part of our service is for your sole use and not for any third party to whom you may communicate it unless we have expressly agreed in the engagement letter that a specified third party may rely on our work. We accept no responsibility to third parties, including any group company to whom the engagement letter is not addressed, for any advice, information or material produced as part of our work for you which you make available to them. It may not be used or relied upon for any other purpose or by any other person other than you without our prior written consent. A party to this agreement is the only person who has the right under the Contracts (Rights of Third Parties) Act 1999 to enforce any of its terms. 51. If our advice is disclosed to any third party (with or without our consent), then we accept no responsibility or liability to that third party for any consequences that may arise to them, should they rely on the advice. 52. If it is proposed that any documents or statement which refer to our name are to be circulated to third parties, please consult us before they are issued. 53. In accordance with the Proceeds of Crime Act, The Terrorism Act, Money Laundering Regulations 2017 and The Money Laundering, Terrorist Financing and Transfer of Funds (Information on the Payer) Regulations 2017 you agree to waive your right to confidentiality to the extent of any report made, document provided or information disclosed to the National Crime Agency (NCA). 54. You also acknowledge that we are required to report directly to the NCA without prior reference to you or your representatives if during the course of undertaking any assignment the person undertaking the role of Money Laundering Reporting Officer becomes suspicious of money laundering. 55. As with other professional services firms, we are required to have appropriate risk based policies and procedures for assessing and managing money laundering risks: this applies at the start of any business relationship and through the lifetime of the relationship. This includes undertaking appropriate customer due diligence. We may request from you, and retain, such information and documentation as we require for these purposes and/or make searches of appropriate databases. If we are not able to obtain satisfactory evidence of your identity, we will not be able to proceed with the engagement. 56. Copies of such records created as part of the client due diligence process, including any non-engagement documents relating to the client relationship and ongoing monitoring of it, will be retained by us for a period of five years after we cease to act for the business unless we are required to retain them under statutory obligation, or to retain them for legal proceedings, or you consented to the retention in which case the records will be retained for not more than 10 years. 57. We shall not be treated as having notice, for the purposes of our accounts and tax responsibilities, of information provided to members of our firm other than those engaged on the specific assignment (for example, information provided in connection with accounting, taxation and other services). 58. Unless otherwise agreed in the engagement covering letter our work will begin when we receive your implicit or explicit acceptance of that letter. Except as stated in that letter we will not be responsible for periods before that date. in which case we may terminate this agreement immediately. Termination will be without prejudice to any rights that may have accrued to either of us prior to termination. 60. In the event of termination of this contract, we will endeavour to agree with you the arrangements for the completion of work in progress at that time, unless we are required for legal or regulatory reasons to cease work immediately. In that event, we shall not be required to carry out further work and shall not be responsible or liable for any consequences arising from termination. 61. Where there is work for which you have paid in full, through monthly fees, unless we have reason to cease work immediately, we will agree with you timescales for the completion of this work. Where you adhere to these timescales, the work will be completed without further charge. Should you fail to adhere to these timescales, we reserve the right to make an additional charge for work, or refuse to complete the work. 62. If you engage us for a one-off piece of work (for example advice on a one-off transaction or preparation of a tax return for one year only) the engagement ceases as soon as that work is completed. The date of completion of the work is taken to be the termination date and we owe you no duties and we will not undertake further work beyond that date. 63. We will observe and act in accordance with the by-laws, regulations and ethical guidelines of the Association of Chartered Certified Accountants (ACCA) and will accept instructions to act for you on this basis. 64. You are responsible for bringing to our attention any errors, omissions or inaccuracies in your returns that you become aware of after the returns have been submitted in order that we may assist you to make a voluntary disclosure. 65. In particular, you give us the authority to correct errors made by HMRC where we become aware of them. In addition, we will not undertake tax planning which breaches professional conduct in relation to taxation. We will therefore comply with the general anti-abuse rule and the targeted anti-avoidance rule. We will not be liable for any loss, damage or cost arising from our compliance with statutory or regulatory obligations. You can see copies of these requirements at our offices. 66. The requirements are also available online at www.accaglobal.com/en.html. 67. 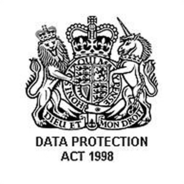 The implications of professional body membership as it relates to GDPR are set out in the privacy notice, which should be read alongside these standard terms and conditions of business. 68. In accordance with our professional body rules we are required to hold professional indemnity insurance. Details about the insurer and coverage can be found at our offices. 69. We aim to provide a high quality of service at all times. If you would like to discuss with us how our service could be improved or if you are dissatisfied with the service that you are receiving please let us know by contacting Nicola Sorrell. 70. We undertake to look into any complaint carefully and promptly and to do all we can to explain the position to you. If we do not answer your complaint to your satisfaction you may take up the matter with the Association of Chartered Certified Accountants. 71. We will endeavour to record all advice on important matters in writing. Advice given orally is not intended to be relied upon unless confirmed in writing. Therefore, if we provide oral advice (for example during the course of a meeting or a telephone conversation) and you wish to be able to rely on that advice, you must ask for the advice to be confirmed by us in writing. 72. We will accept no liability for losses arising from changes in the law or the interpretation thereof that are first published after the date on which the advice is given. 73. Similarly, we will accept no liability if you act on advice given by us on an earlier occasion without first confirming with us that the advice is still valid in the light of any change in law or your circumstances. 75. Whilst certain documents may legally belong to you we may destroy correspondence and other papers that we store, electronically or otherwise, which are more than 7 years old. You must tell us if you require the return or retention of any specific documents for a longer period. 76. You should retain documents that are sent to you by us as set out in the privacy notice, which should be read alongside these standard terms of business. Our privacy notice is available online at www.effective-accounting.co.uk/privacy/. 77. Any advice we give you will be supplied on the basis that it is for your benefit only and shall not be disclosed to any third party in whole or part without our prior written consent. It may not be used or relied upon for any other purpose or by any other person other than you without our prior written consent. If our advice is disclosed to any third party (with or without our consent), then we accept no responsibility or liability to that third party for any consequences that may arise to them, should they rely on the advice. 78. If it is proposed that any documents or statement which refer to our name, are to be circulated to third parties, please consult us before they are issued. 79. To the fullest extent permitted by law, we do not accept or assume responsibility to anyone other than you for our work or for the report. If you wish or are asked, to provide a copy of the accounts to a third party you must seek our consent before you do this. You are not entitled to disclose our work to a third party without our express permission. We may grant consent subject to certain conditions which you must comply with. In every situation where we do grant consent, you agree to ensure that the report remains attached to the accounts shown to the third party. 80. The services we undertake to perform for you will be carried out on a timescale to be determined between us on an ongoing basis. 81. The timing of our work will in any event be dependent on the prompt supply of all information and documentation as and when required by us. 82. When requesting information from you, we will advise you of the applicable statutory deadlines and also the timeframe in which we require the supply of the information. Should the requested information not be supplied in full within this timeframe, we will not be held responsible for any missed deadlines nor liable for any associated penalties or interest. 83. We reserve the right to change these standard terms of business from time to time without notice. You agree any changes in these terms. If you do not agree to these terms at any time then you agree to inform us and where necessary, terminate services immediately. The current and latest terms are available online at www.effective-accounting.co.uk/terms-and-conditions/ and can be downloaded in a pdf format here.